Oh, No! 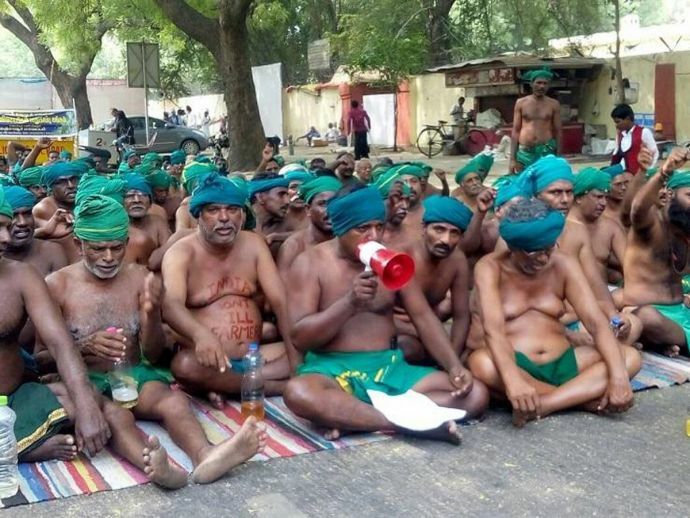 Tamil Nadu Farmers Protests Against The Government By Drinking Urine! They also stripped in front of the prime minister's office on 10th April as a part of the protest! Over the last 39 days, Tamil Nadu farmers are protesting against the government. They have tried several ways to grab attention from the government. 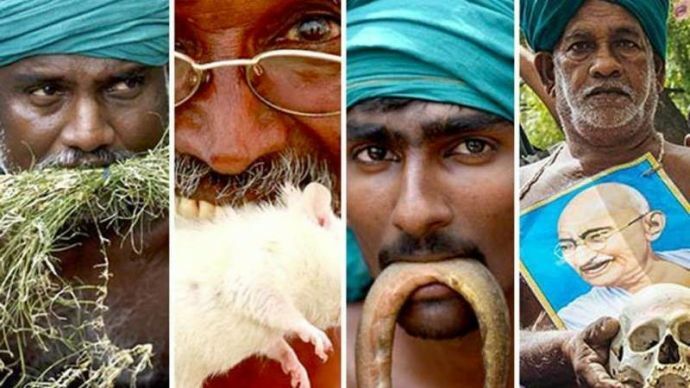 From shaving half moustaches and head to keeping mice and snakes in their mouth, they've tried it all! They have also conducted mock funerals and also carried skulls of other farmers, who had committed suicide due to debt pressure. But the protest took an extreme turn when the farmers started drinking urine to draw the government's attention towards the drought situation in Tamil Nadu. The farmers want Prime Minister Narendra Modi to accept their demands. The protest entered the 40th day and the farmers started drinking urine on Saturday morning. "The Union government is not giving us water. So we are consuming urine," said P Ayyakkannu, leader of the protest in an interview to DNA. The protesters threatened the government yesterday that if the government will fail to bring out any solution in one day they will start consuming urine.